My friends tell me that I’m a makeup geek. There’s nothing I love more than putting on makeup and creating a flawless look. One of the trickiest makeup products to buy is the under-eye concealer. 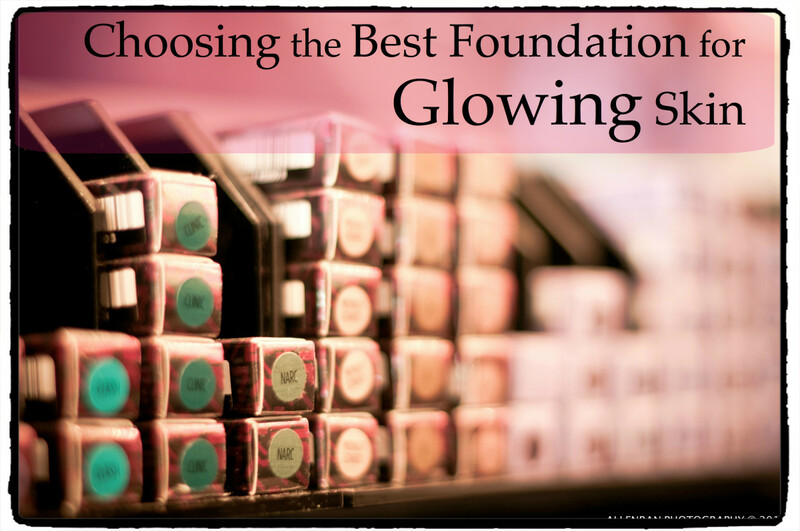 Finding the perfect one is an overwhelming task because you have to look for the perfect shade and texture that also provides decent coverage but does not crease or look cakey. Out of my collection of over 22 concealers, the following seven come pretty close to that ideal concealer we all want. 1. 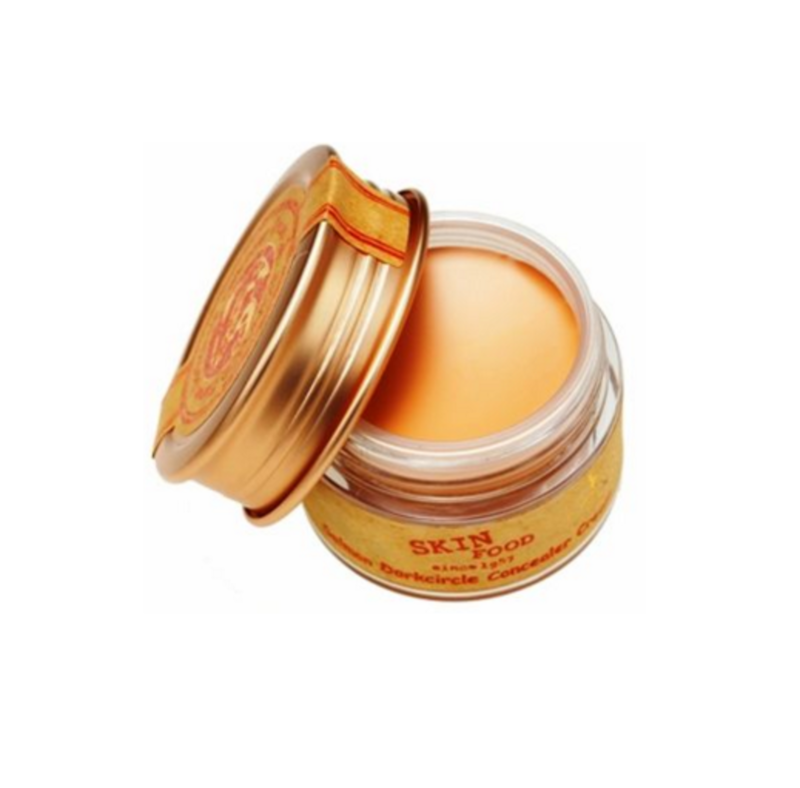 Skin Food "Salmon Dark Circle Concealer Cream"
Rich in omega-3 fatty acids, "Salmon Dark Circle Concealer Cream" magically conceals dark circles and brightens up the under-eye area, making you look radiant and wide awake, as if you had 8 hours of sleep. The gentle formula is soothing to the skin and blends like a dream. 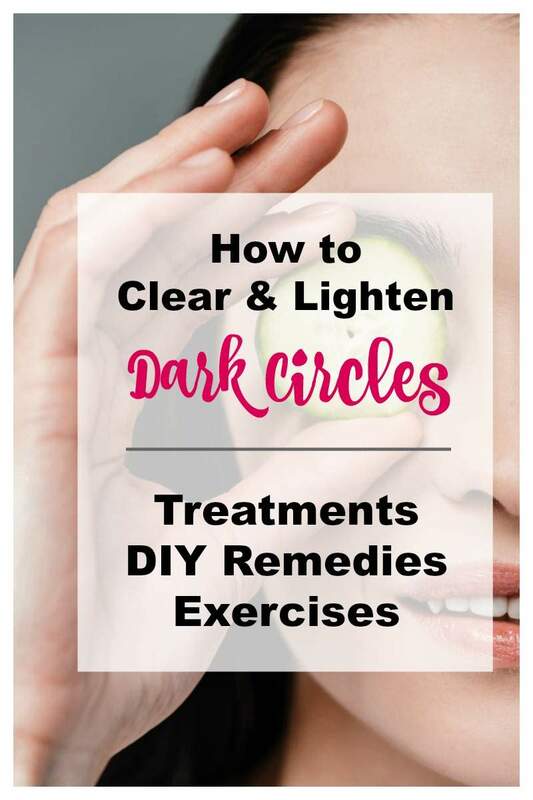 Even if you have drier under-eye areas, it will blend easily. To prevent it from settling into fine lines and creases, use a primer before application and set it with a powder afterwards. This product has salmon-peachy tones meant specifically for eyes, so don’t use it as a regular concealer. 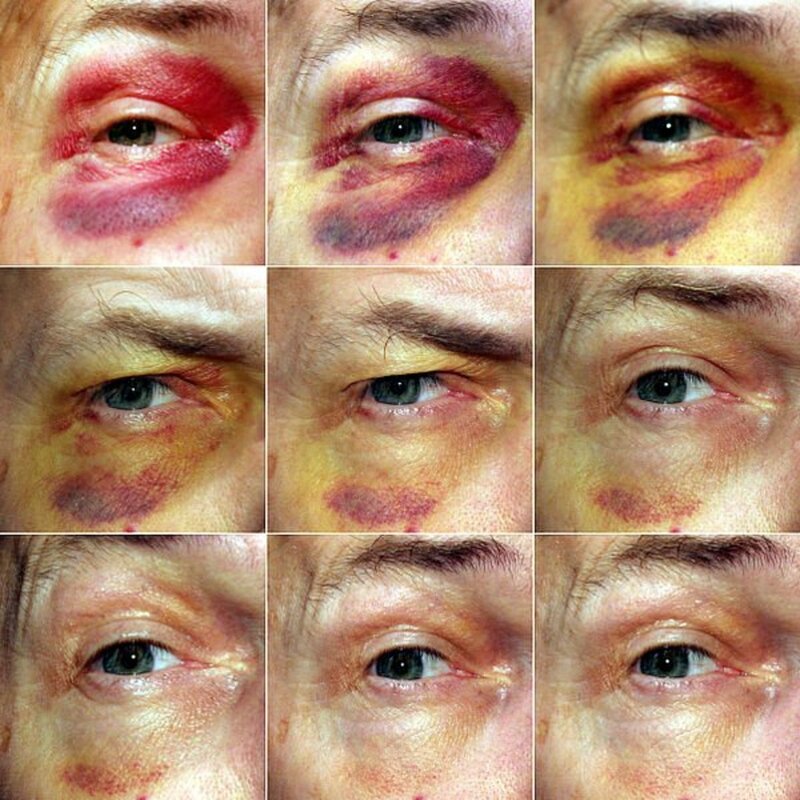 Salmon undertones do a great job at neutralizing the blue and purple under your eyes. 2. Collection 2000 "Lasting Perfection Ultimate Wear Concealer"
Housed in a small tube with a doe-foot applicator, Collection 2000 "Lasting Perfection Ultimate Wear Concealer" will cover even super dark, horrendous eye circles. This is a heavy-coverage concealer that will hide almost everything and keep it hidden for hours. If you want serious coverage, then this is the product for you. It leaves a beautiful matte finish, so you can even get away with not applying powder. It does not crease on me, but, if it does on you, then use a silicone-based primer underneath. Once applied, it dries fast, so dot it and blend quickly. Apply to one eye at a time. Because the finish is matte, it’s best suited for normal to oily skin. If your skin is dry, use a good moisturizer underneath. The product does not run out quickly. There are not enough shade options to choose from. Selecting the right color can be difficult. Make sure to swatch it first. Packaging is cheap.The print comes off the tube pretty quickly. Do not keep the tube lying flat because it will leak around the lid. 3. Maybelline "Dream Lumi Touch"
This is a concealer that covers as well as highlights, so it helps you look very fresh and wide awake. The creamy texture sinks into the skin and is very buildable. 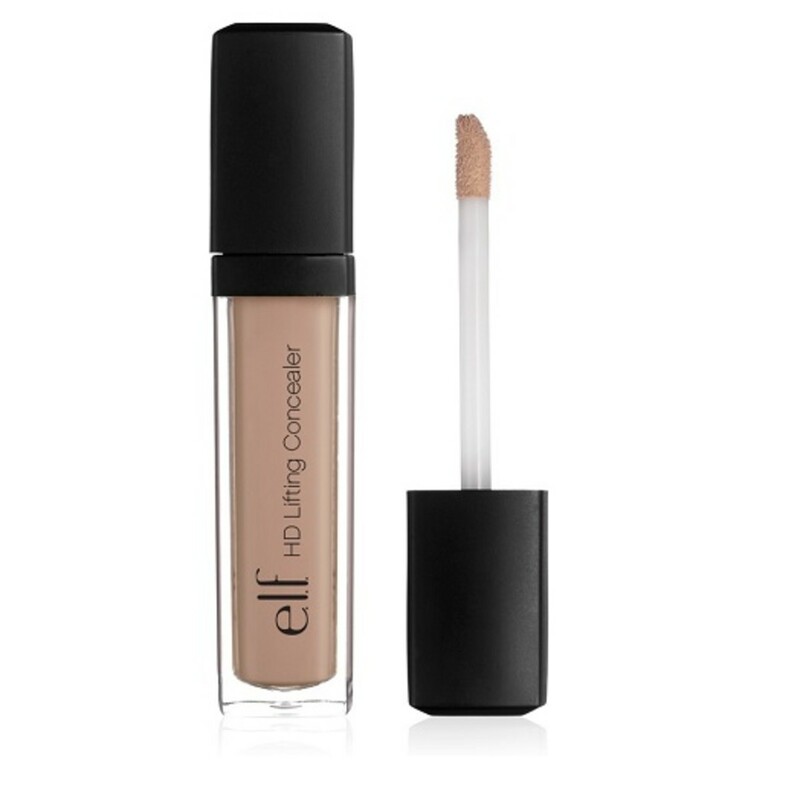 Unlike many other concealers with thick, creamy consistencies, this one will not settle into creases and fine lines. 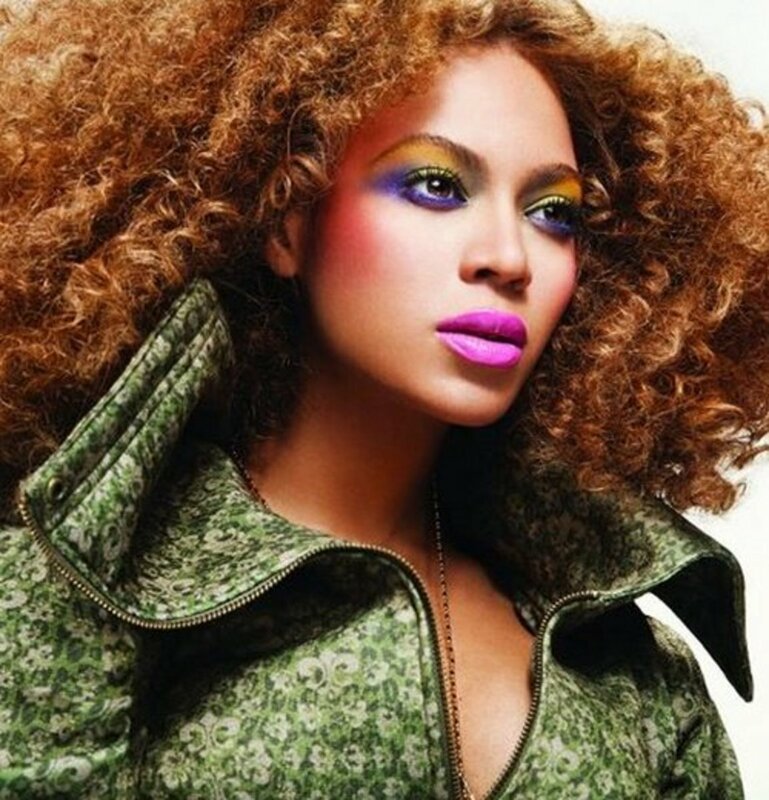 The coverage is decent, flawless, and looks very natural. 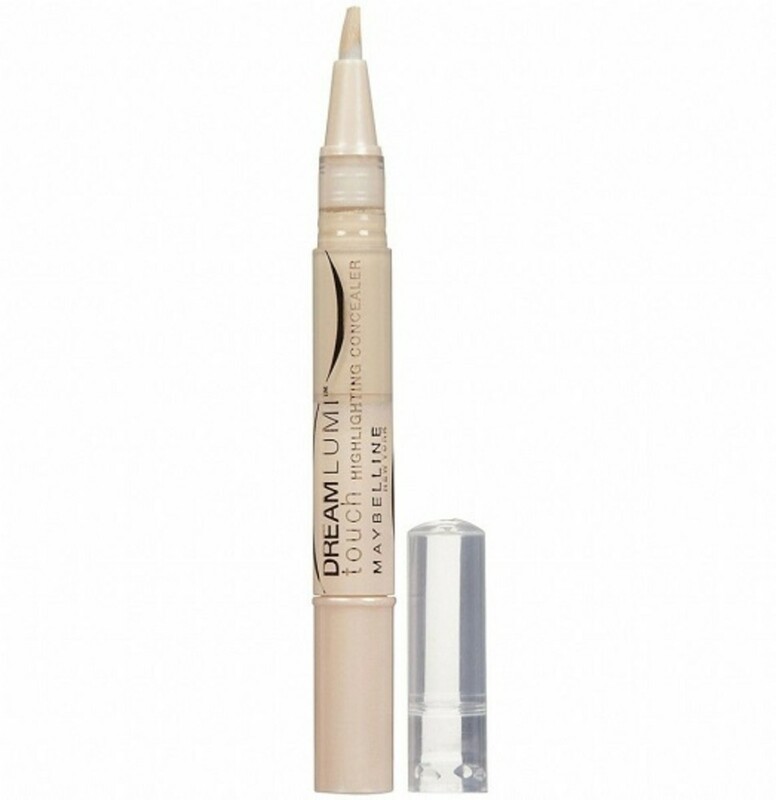 Maybelline "Dream Lumi Touch" comes in the form of a slick pen with a brush applicator. When you twist the bottom of the pen, the product appears on the brush, giving you a very precise application. Although it is a very good for covering and highlighting the under-eye area and cheek bones, it will not hide super dark eye circles. If your eye circles or troubled areas are difficult to hide, do not use it as a stand-alone concealer. Instead, use it to brighten a beautifully-applied base. Good range of colors to choose from. You really can’t go wrong with choosing a color. It sets beautifully and does not budge. It’s moisturizing and does not dry out your skin. The product runs out quickly. Only half of the pen is filled with product. 4. Garnier "Anti-Dark Circle Eye Roller Concealer"
Rich in vitamin C, caffeine, and tinted mineral pigments, Garnier's "Anti-Dark Circle Concealer" instantly covers darkness and brightens the eye area. Its two-in-one formula (concealer+eye care) not only corrects dark circles but also soothes the tender skin around eyes, helping to reduce puffiness. It’s a lightweight, brightening concealer that provides sheer-to-medium, natural-looking coverage. The thin formula spreads and blends easily, so there’s no risk of looking cakey. The light texture is the reason it does not settle into lines and creases. This product is suitable for those who can’t be bothered with wearing a full face of makeup but also don't want to be asked, "Are you tired’’? It blends easily into the skin with or without foundation. It can be used as a standalone makeup product if you want to achieve flawless skin. It has an orange tint that neutralizes blue and purple tones. It camouflages and illuminates the under-eye area. Pricey for a drugstore product, but a little goes a long way. The packaging is not easy to handle. The roller sometimes imparts too much product. Contains alcohol. If you are allergic to alcohol-based products, do not buy this. 5. L.A. 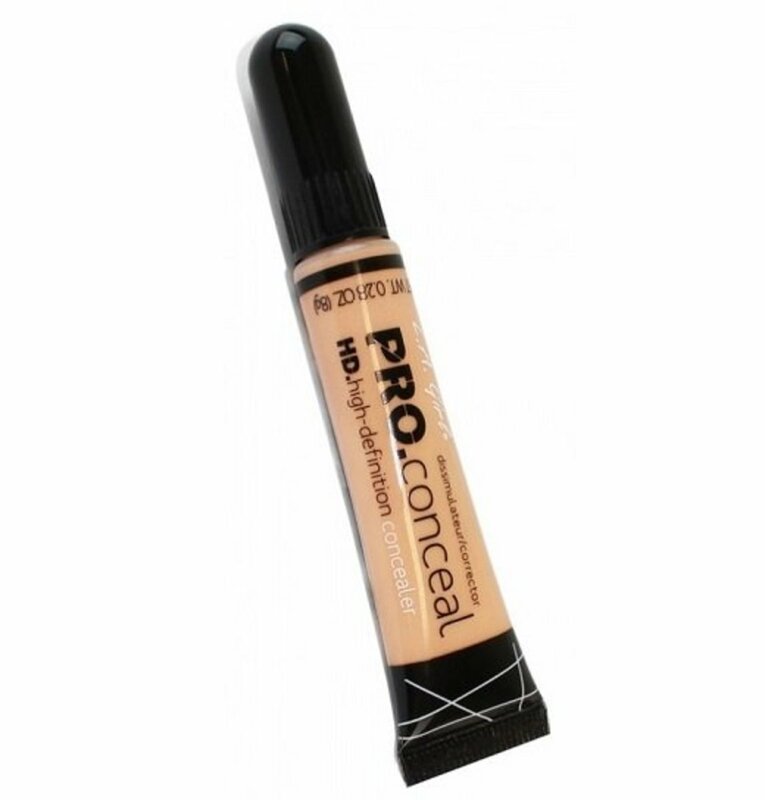 Girl "PRO Conceal HD"
L.A Girl "Pro Conceal HD" is a cheap but good-quality concealer that’s totally worth the price. Its creamy, crease-resistant formula is easy to blend and provides a medium-to-full coverage that looks flawless and natural. It comes in 21 concealer shades, 6 color correctors, and 1 highlighter. You can use the corrector shade to neutralize the under-eye area, and then cover it with the concealer shade. This product is so cheap that you can buy a few shades and then mix them up to get your true match. The product comes in a generously-sized tube with a little brush at the end. Just a little amount will give you decent opaque coverage that wears well throughout the day. If you are unhappy with the undertone of your foundation, you can use the corrector shades to correct it. Very inexpensive with 28 shades to select from. There’s a shade for everyone. The packaging is not good. The product is hidden by the brush tip, so it’s hard to squeeze out the right amount. If you are not careful, you can end up with too much product. Also, don't even think about applying the product directly from the tube. It can get drying after several hours of wear, so don’t forget to apply moisturizer first. 6. 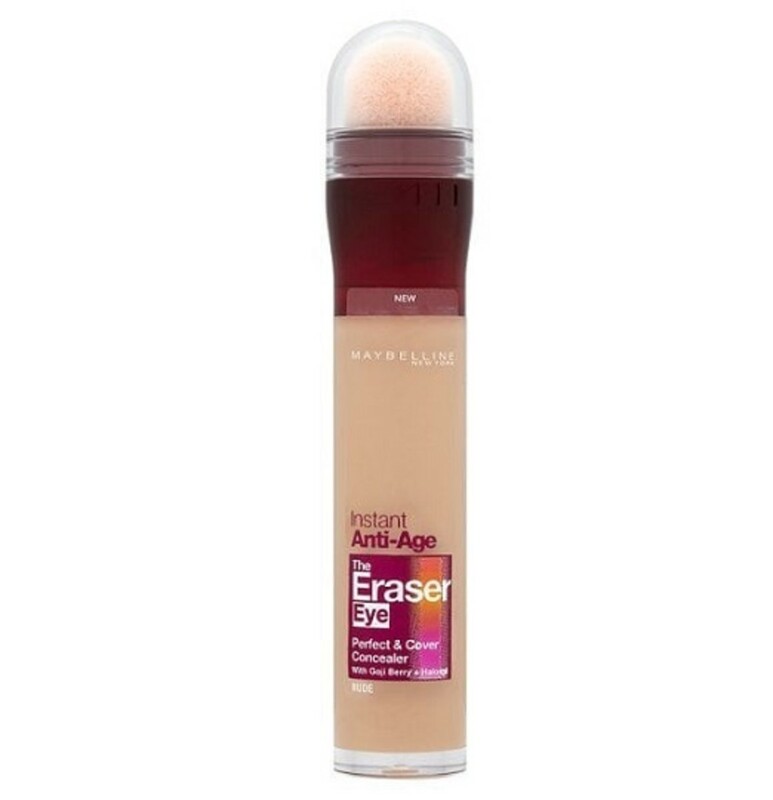 Maybelline "Instant Age Rewind Eraser Dark Circles Treatment"
Housed in a plastic tube with a sponge applicator at the top to dispense the product, Maybelline "Instant Age Rewind Dark Circle" is lightweight and super blendable. It has the coverage and feel of a high-end product. When applied around the eyes, it instantly conceals dark circles and sets well with a bit of translucent powder on top. The consistency is on the thinner side, which makes it easy to blend and provides gorgeous, natural-looking coverage that lasts more than 8 hours. In the later part of the day, it fades into the skin instead of scraping off into cakey patches. The concealer is available in 6 beautiful shades (fair, light, medium, honey, neutralizer, and brightener). For those whose eye circles are very dark, Maybelline recommends "applying the neutralizer shade under the concealer shade." 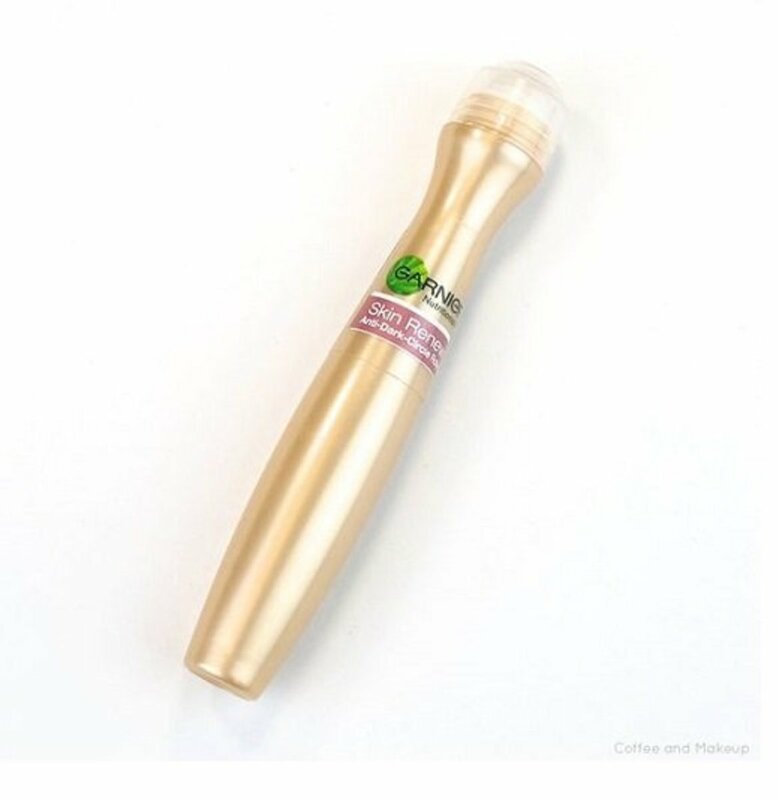 This product is ideal for those who want something that’s lightweight, thin, wears well throughout the day, and provides natural-looking, decent coverage. Lasts well throughout the day. Stays on for 7+ hours. Leaves the under-eye area bright, flawless, and younger looking. Packaging is unhygienic. The sponge applicator gets dirty after a few applications. 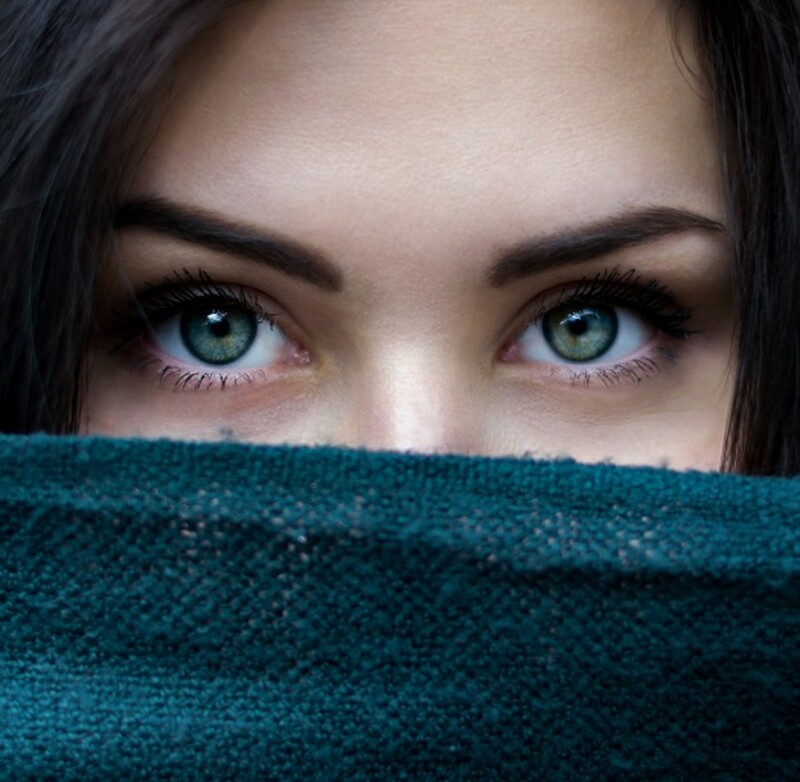 The under-eye area can get dry, so use a good moisturizer or eye cream before you apply this. Infused with green tea, mulberry, and vitamin C, E.L.F "HD Lifting" concealer is very good at brightening up weary eyes. It is creamy, yet lightweight, and blends like a dream. It also sets into a gorgeous, natural skin-like finish. For the perfect look, apply a good primer before you apply this product. Top it off with E.L.F. 's "HD Under Eye Powder," and it will not budge or crease throughout the day. It lasts well during the day, however it does start to fade later in the evening. But, when it starts to wear off, it does not leave you with a creasy, cakey mess. Instead, it fades nicely, and you will just be left with less coverage. The concealer comes in three shades (fair, light, medium) and three color-corrector options: green(diffuses redness), lilac (whitens and brightens), and yellow (diffuses darkness). The brightening shade can also be used as primer because it lightens up the area and creates a beautiful canvas that helps eyeshadows stick. If you find the right color that matches your skin, you will not regret it. This product is for women who are on a tight budget and want medium coverage with a natural skin-like finish. Shade range is not good. Even the shade ‘’light’’ is pretty dark. There is a big difference between shades as well. The "light" shade is a lot darker than the "fair" shade. If you want serious heavy coverage, then this concealer will not provide that. It smears if worn in hot or humid weather.